These tweezers are the finest quality you'll find anywhere. Most come from manufacturers for the jewelry, dental and watchmaking trades. 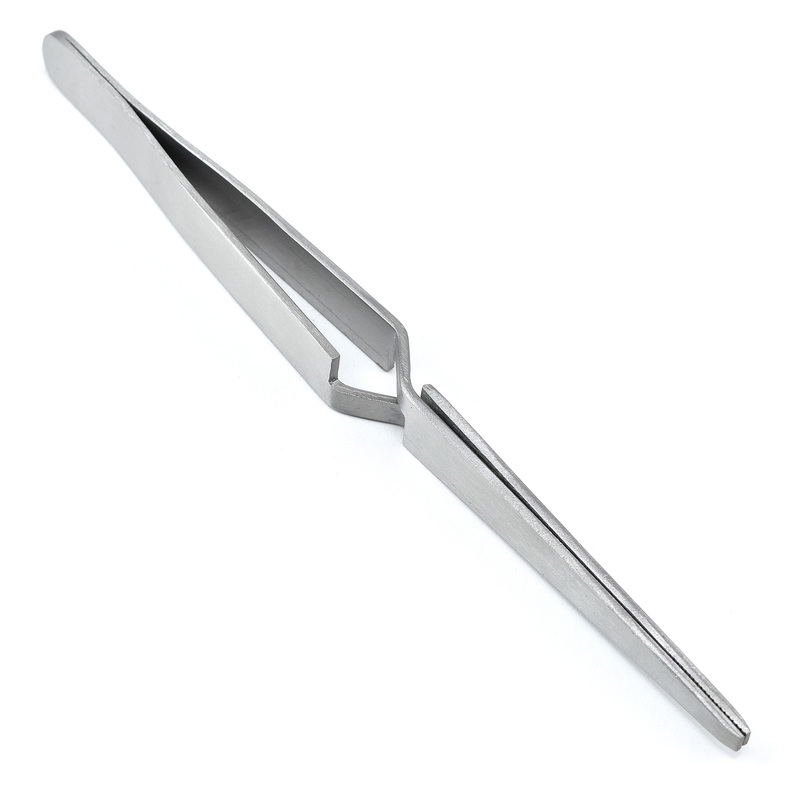 Cross Locking, Self-Closing Tweezer Nickel plated steel. Serrated points. 6-1/2 inches long.